“I am struck by the explosion of mobile computing - mobile is clearly going to win the battle with traditional computers.” So said Eric Schmidt, CEO of Google at the Media Summit in Abu Dhabi in March this year. There is unprecedented acceleration in the adoption of mobile touchscreen devices which is contributing to a strong growth in web access on-the-go. This is creating a significant opportunity for the hotel industry in particular and, with short lead-in times becoming more and more prevalent, positioning your hotel for mobile access is increasingly critical. 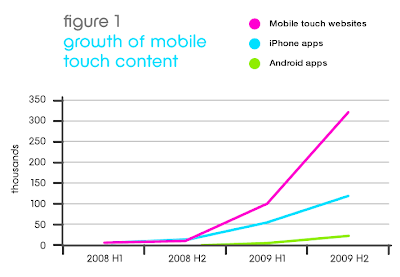 Without mobile, you risk being rapidly left behind. To get your business onto mobile, there are two approaches. The first is via a downloadable app. The hype around apps, as fueled by the success of iPhone’s app store, might indicate that the best approach is for your business to build a downloadable app. But this is not necessarily so. Apps are indeed popular, but they are dominated by casual use items, games and utilities. Also, once downloaded, many are one-try wonders - Pinch Media, which analysed 30 million downloads, found that only 30% of people who buy from Apple’s App Store use the application the day after downloading it and for free applications 95% of people use it no more than once. Apps are also something that someone must intentionally seek out and, usually, log in to purchase or download. In other words, they require prior motivation on the buyer’s part which is a barrier to large scale use. The second approach is the optimized web application or webapp. Here, the aim is to capitalize on your existing website address by developing a mobile-specific website that will be served from your web address whenever accessed by mobile. With a webapp, if configured properly, your customers just go to your web address as usual, but get a mobile experience rather than a desktop experience. It gets you right in front of your guests immediately, with no barriers to access and no extra steps or motivation required on behalf of your user. It is seamless. If you consider how users look for hotels on mobile search, the webapp for your hotel is the obvious choice. The user is in the search engine on their mobile, is searching for hotels, will see your hotel listed in search results, and will tap to go. With a webapp you are serving them immediately from your web address with a rich mobile experience. With a downloadable app, you are reduced to giving some notification or message that they should now go to the appstore, find your app, download it, launch it, and continue. For the casual booker, that is five steps too many and your booking opportunity may well be lost. Cost is also an issue. A custom-built app will generally cost considerably more than an optimized webapp, and for booking purposes both will have to resort to real-time data connection to your reservation system over the web anyway, so why not just use the web-oriented webapp approach in the first place? Apps will also need to be maintained, updated and re-issued via the app store when changed, which is far more cumbersome than updating a webapp where users automatically get the most current version on every access, without any update issues. Even as the production of apps worldwide has skyrocketed, webapps have grown even more, at over three times the pace of app development. That’s according to a recent mobile marketplace survey by TapTu, which also indicated that the fastest growth area in webapps is ecommerce. 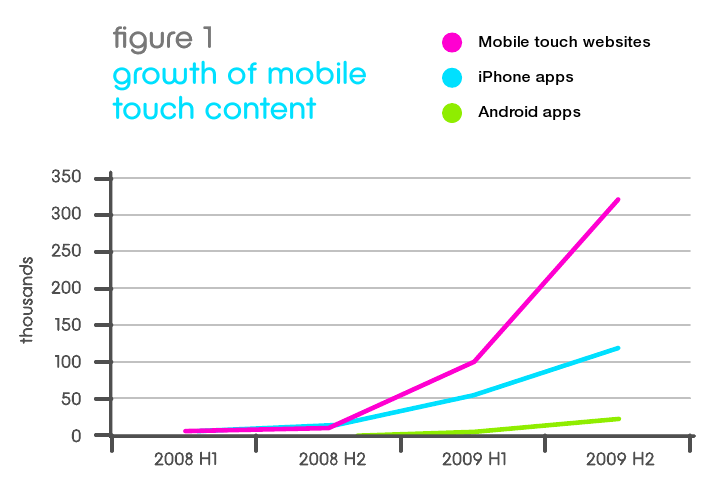 This shows that mobile users are quite happy with webapps as a means of interaction - and as a means of buying. While downloadable apps must be developed for each specific platform of mobile phone, webapps are somewhat easier since they operate within the mobile’s browser. The dominant operating systems in the touchscreen smartphone market, Apple iOS and Google Android, both use browsers based on the same common core technology called WebKit, and with the August 2010 release of version 6 of their operating system, Blackberry have also adopted WebKit for their new browser. The S60 Symbian operating system used on Nokia and LG smart phones also uses WebKit. So ensuring a relatively uniform experience is now much more straightforward since webapps need only be constructed to be compatible with WebKit to reach the majority of modern touchscreen devices. In January of this year, Bookassist announced a comprehensive webapp solution for hotels that is rapidly gaining ground nationally and internationally, winning well-known clients such as Bewleys Hotels in UK and Ireland, Arcotel Hotels in Austria, Hotel Paris in Czech Republic and Glenview Hotel, Lough Erne Resort, Buswells Hotel and Camden Court Hotel in Ireland. The development of the webapp was based on detailed analysis of the unique mobile access statistics that Bookassist has researched from thousands of reservations daily across its network of client hotels. This information guided the main features of the webapp development, with the aim to get relevant information in front of the mobile user as quickly as possible and to facilitate booking with as few taps as possible. Here’s how it works. When a mobile customer goes to a participating hotel’s website on their mobile, Bookassist scripts automatically redirect the customer to the mobile webapp version (though the customer can return to the full website at any time if they prefer). The hotel-branded splash screen immediately shows the most popular primary functions that people demand, the top three being location, booking and photo gallery. Languages are immediately available. Options are kept to a minimum and the system does not clutter the screen with superfluous links. The location page gives the usual address, phone number and email for the hotel, but additionally the address links to a dynamic map that can use the mobile phone’s geolocation facility to route the customer from their current position to the hotel, taking real advantage of the platform. Booking has also been greatly simplified for the on-the-go customer. The webapp allows you to tap an arrival date and number of nights if required, tap on a room to see its description and price, and tap “book” to proceed. Entry of basic contact information and a credit card is all that is required to complete the reservation, with both an email and SMS confirmation automatically sent to the customer. Fast, simple, secure and effective. The hotel webapp can also handle hotel groups, where an additional group webapp allows the customer to sort all hotels in a group by price, location or alphabetically, and then with a tap links through to the webapp for each individual hotel. The Bookassist webapp solution is the best way to get your hotel mobile in the fastest timeframe. Further details, and a demonstration video, are available at http://bookassist.org/mobile. To see a working hotel group, visit Bewleys Hotels by pointing your QR code reader app on your smart phone at the code shown here.